Barefoot Angie Bee: Ecolips review and giveaway!! I contacted EcoLips in my search for a lip balm that I could use all the time and not worry about what exactly I was putting on my lips. I wear lip balm at night before bed, and especially when I run, and this time of year especially when the air is so dry. Help us Change the World, one set of lips at a time. They even have a Girls On the Run balm which I know many of my bloggie buddies support! Not only do they use organic ingredients and make a petroleum free product check out their Solar Power Project! Ecolips also offers private label lip balms so you can partner with a great company and have a unique way to promote your business or club. Here is more about how Eco Lips got started! I love stories where it begins in someones kitchen and grows from there. By 2003, Steve and Andrea had built a specialized private label natural body care company focusing on making high quality products for many other successful brands. 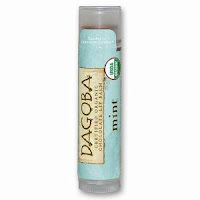 Their company rapidly became a leading natural body care manufacturer in the Natural Products industry........more here. 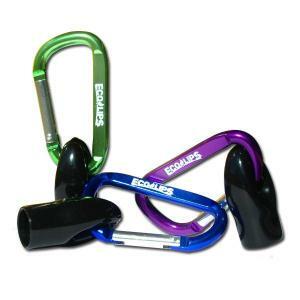 Now that you are thoroughly intrigued with Eco Lips here is your chance to win a Dagoba Chocolate Mint lip balm on a Eco Clip Carabiner just like the photos above. Here are the rules for the giveaway and as always, do as many or few as you would like. Make sure and leave a separate comment for each thing you do as each will be counted as an entry. Write on their wall and tell them I sent you and maybe what you like about their lip stuff! post a link to your blog, facebook, tweet ect. This giveaway will run until Saturday the 22nd and I will announce the winner that weekend. I visited their site. I actually use their lip stuff too and love it! I visited ECO-LIPS site.What great stuff. I to use lip balm all the time I have some stashed everywhere. I wrote on ECO-LIP fb page and told them you sent me. Posted the website on my fb page. 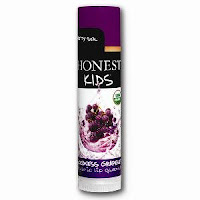 I'm also a lip balm all the time person, especially in the winter. I keep one in every jacket and coat I own, just in case. Have to say, after visiting the site, I would try just about all. Maybe not the coconut, and really? Caffeinated? Visited the Eco Lips website. I like EcoLips on Facebook. Left a message on Eco Lips facebook page that you sent me. I visited their site. Dying to try their lip balm! I would much rather use an Eco-friendly non-petroleum lip balm. I'm a follower! I visited their site!! Placing an order today! Thanks for the heads up! Oh I am always looking for new lip balm. I just liked them on FB. I'm a follower! And I love a good lip balm! You are linked on my blog sidebar! I checked out their site and I think their lip tints sound great for a casual day out...a little hint of color in a natural product! Their website is in the superior color of green! I am so proud! I follow you. 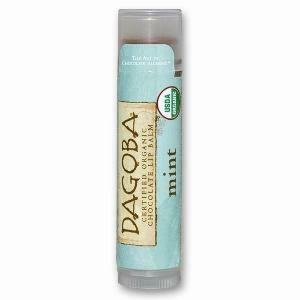 I currently use Ecolips, but I haven't tried the Dagoba yet. Would love to, so thanks for offering the giveaway! Liked eco lips on FB! I learned they are based out of Cedar Rapids, IA! I checked out their webpage, I'd love to try the GRAPE! I love grape!